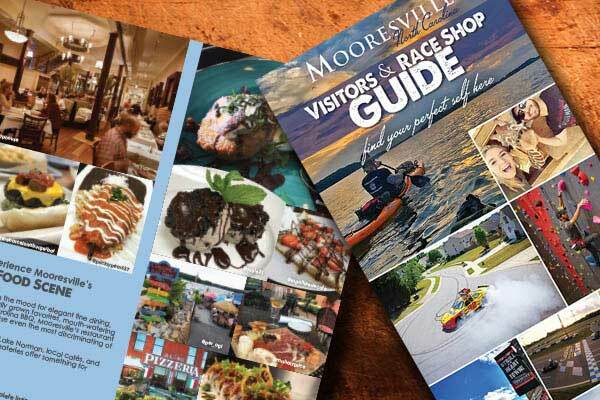 Whether you’re planning to visit Mooresville in the immediate future or you just want to learn more about the area, our Mooresville North Carolina Visitors Guide outlines the entertainment, shopping and dining opportunities available in Race City USA. Whether you are an outdoor enthusiast looking to explore beautiful Lake Norman or a history buff wanting to relive racing’s finest moments, we know you will find your perfect self here. Request a printed copy of our Visitors Guide using the form below, download a pdf copy, or view it in an online format to learn more about the one-of-a-kind attractions and adventures that Mooresville, Race City USA has to offer.